Happy birthday Bruuuuuuce! Yep, my guy turns 63 years young today. Lovin' the Boss is about as close to being a Jersey girl as I'm gonna get. In fact, to celebrate his birthday I'm going to do what Bruce tells me to do. I'm going to roll down the windows and let the wind blow back my hair. 'Cause this Philly girl loves that Jersey boy...and is willing to have a bad hair day to prove it. I know that Bruce is not for everyone. But those who know me, know he is for me. I've been with him every step of the way (EXCEPT I conveniently jump over that step of his that has to do with politics. In return, he doesn't ask me about my shoe collection. It's best for our relationship). I gotta adore a guy who writes about what he loves, and about things he's trying to make sense of. I can relate. I do the same with my camera. He just makes a LOT more money at it than I do. And has probably made sense of a lot more than me too. "It ain't no sin to be glad you're alive." ...yeah, I agree with that too. Love me some Bruce too! One of my favorite Bruce songs! Gorgeous picture, Kathy! Great shot. I'm a Bruce fan too. 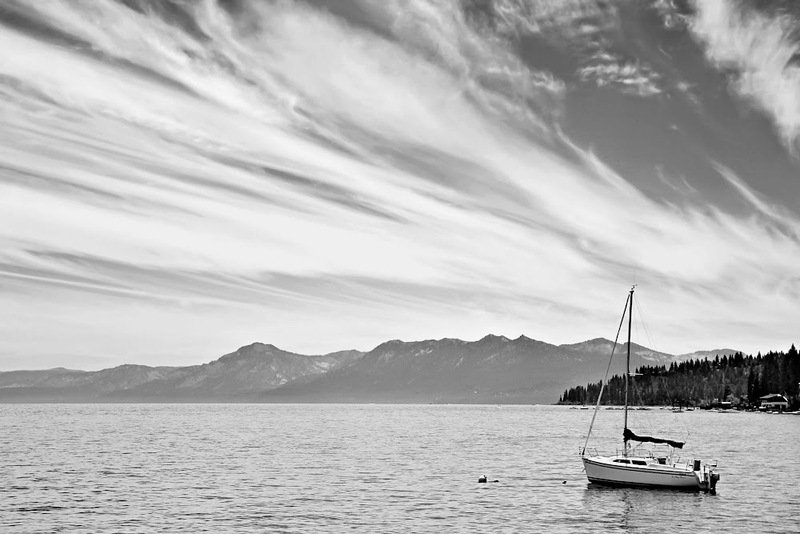 Beautiful Lake Tahoe. . .it truly is a spectacular place to be. I was privileged to spend an entire day on the lake there with family and friends. A day I will never for get! It was glorious. I, too like Bruce. Have a grand weekend! Amazing picture!!! and happy birthday to your Bruce!!! You made me laugh about the money making part! He sounds cool!!!! That is one seriously amazing shot! I love Springsteen too! And these lyrics...the sky does bring out a flood of varying emotion...he nails it with these words! Awesome shot! Bruce is just classic. Can't think of my childhood years without him being part.